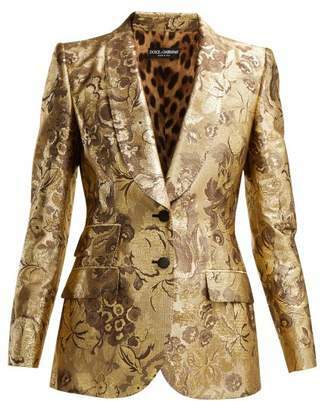 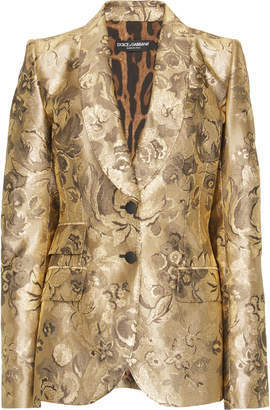 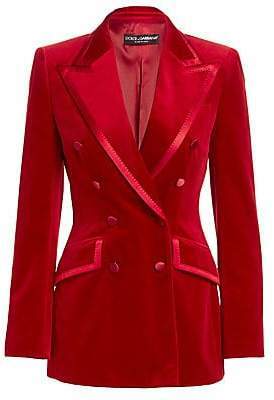 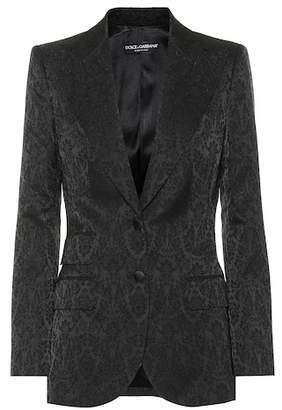 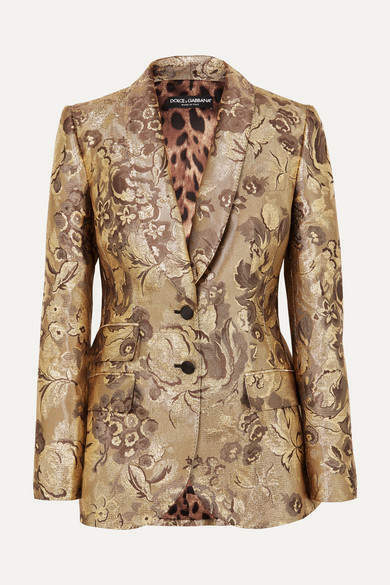 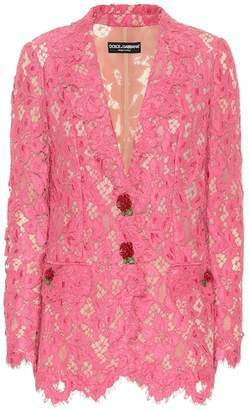 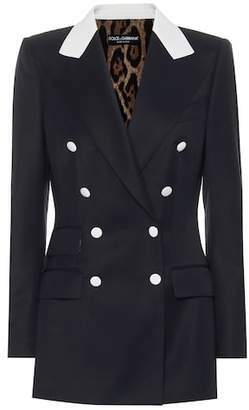 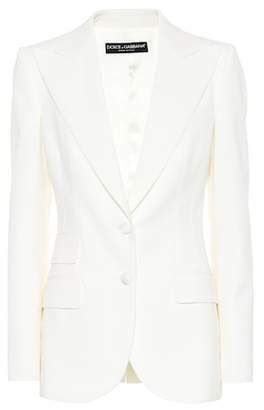 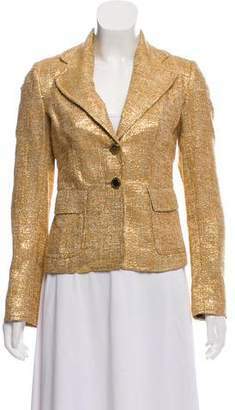 Luxurious fabrics and impeccable tailoring are Dolce & Gabbana signatures, both of which are highlighted in this blazer. 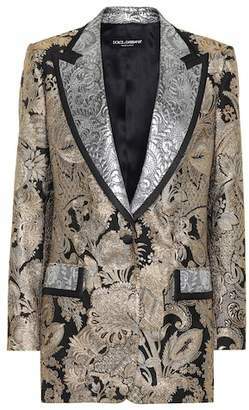 Inspired by men's dinner jackets, this piece is made from metallic brocade woven in a floral motif and has padded shoulders and a nipped waist to accentuate the hourglass shape. 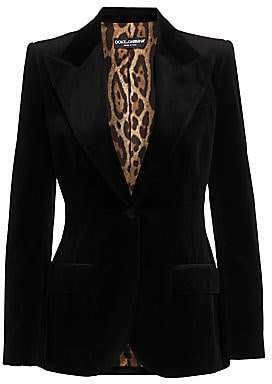 Wear it with a camisole or lace bralette peeking through the lapels.